Admit it: Cookies are your guilty pleasure. Sweet, delicious, even decadent — who can resist the delectable enticement of cookies? Regardless of which cookies are anyone’s personal favorites, the very thought of them is often enough to elicit a smile from even the most curmudgeonly person. It’s the reason we created cookie gift baskets. Filled with cookies, more cookies and only cookies, they are the ideal gift for every occasion and even for those “just because” times when there is no special occasion. The gift that always fits; it’s also the one that no one returns! Perhaps that’s because it’s the gift that everyone loves. 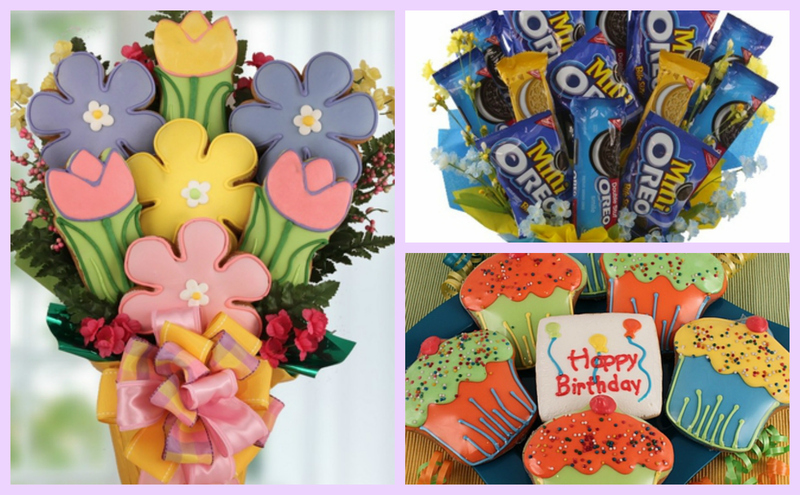 Whether you’re looking for a sweet hostess gift to offer your mother-in-law, a cheery get-well item to brighten your grandmother’s day or a fun way to let your mom know that you’re thinking of her, a basket filled with flower-shaped cookies, for instance, is sure to do it. Thank your wonderful neighbor who willingly picked your kids up when you were sick. Congratulate your best friend on her promotion, and encourage your friend who broke his leg. A gift box or basket of white chocolate macadamia or oatmeal pecan cookies has a charming way of conveying precisely what you mean. If you want to see joy, give a cookie gift basket to that helpful co-worker or to the one celebrating a milestone birthday. Cookies have that kind of power! 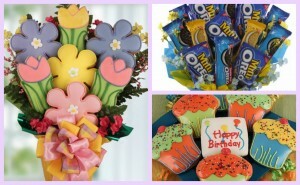 For every occasion and every person, cookie gift baskets are the joy-filled, smile-producing gift.